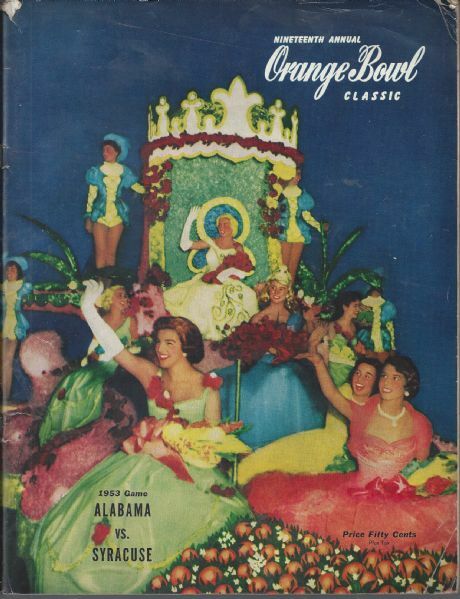 1953 Orange Bowl (Alabama vs. Syracuse) Classic official game program. 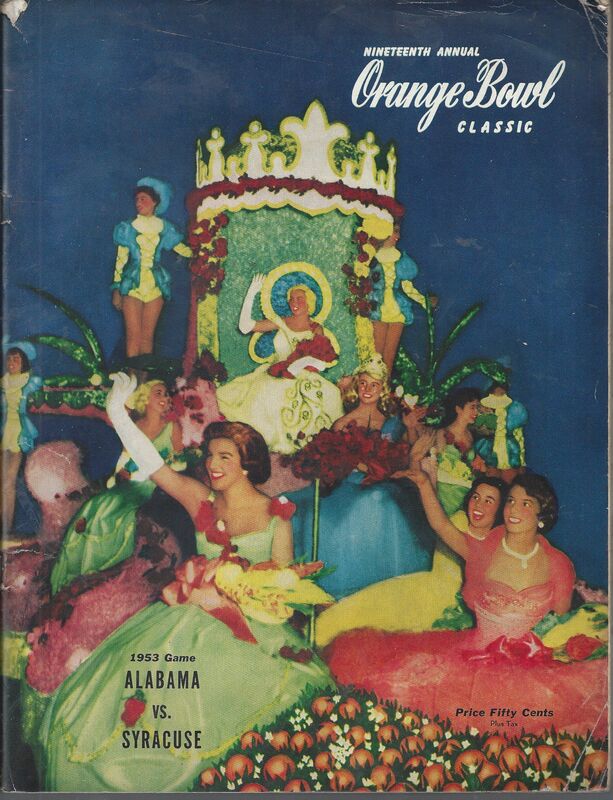 1/1/53 at the Orange Bowl Stadium. Has some wear at top and bottom of spine. Center roster is loose but present. Fantastic picture portfolio inside. Vg.